1. What is the Street Medicine Institute? 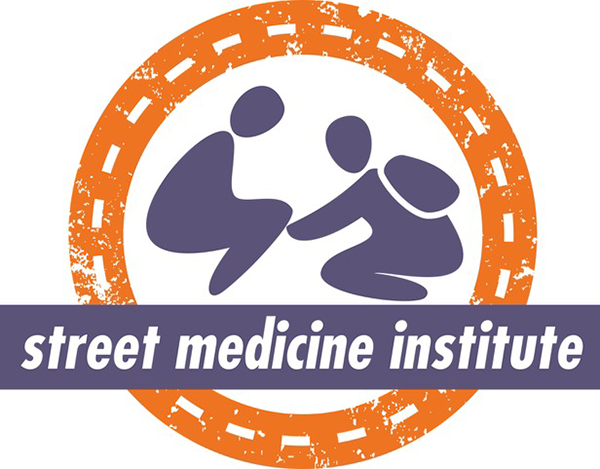 The Street Medicine Institute (SMI) is a non-profit organization that serves an unmet need by providing inspiration and guidance, best practice research, and global connectivity through an annual symposium for those involved in the provision of Street Medicine services. Primarily Board-driven, we rely on the donations of generous individuals (Donate Here) to continue with our mission. 2. Where can I find information about starting a street medicine program in my community? The Street Medicine Institute has many resources to assist you in starting a Street Medicine program, including our Program Start-Up Forum, our Student Start-Up Manual (see Resources) and fee-based consultations. Please become a member of our website community (Join Now) to participate in our informative Community Forums and to stay current with new resources that become available. 3. How can I find who is already doing Street Medicine in my community? You can access information about Street Medicine programs in the international community through our (soon to be) interactive map and in our database of member Street Medicine providers (see Search bar on website). If you do not find the information you are seeking, please contact SMI at [email protected]. If you are a Street Medicine provider and do not see your program in our information, please join as a Program Member (Join Now) and become a part of our community! 4. What is Street Medicine and how is it different from homeless healthcare? Street Medicine (see What Is Street Medicine?) is the provision of health care directly to people where they are living and sleeping on the streets – the unsheltered or rough-sleeper homeless – through outreach services such as walking teams and ad hoc outdoor clinics. On the other hand, Homeless Healthcare may include shelter-based care, fixed free-standing clinics that serve the homeless, van-based or mobile-coach-based care, and, possibly, street medicine services. Street Medicine is unique because of its specific focus on the delivery of care directly to rough-sleepers. It is the goal of all providers who serve the homeless to work collaboratively toward the improved well-being of all homeless persons. 5. Does the SMI offer volunteer opportunities, internships, student projects, or clinical rotations? The Street Medicine Institute does not provide any direct clinical care, though we can be helpful in connecting you with existing street medicine programs that do offer these opportunities. If you are interested in volunteering with the Street Medicine Institute by doing such things as assisting with the annual International Street Medicine Symposium, please contact us at [email protected]. 6. Does the Street Medicine Institute offer grants or other funding? 7. Does the SMI accept donations of non-monetary supplies? The Street Medicine Institute is only able to accept monetary donations to further our mission and vision. Please click here to donate. If you would like to donate supplies, please contact a street medicine program or another homeless health service provider in your area. To access a directory of street medicine programs participating in our growing membership, please click our Search button. 8. Is the SMI a provider of health care services? While the Street Medicine Institute is comprised of individuals with Street Medicine expertise, the Institute is not engaged in the direct delivery of Street Medicine health care services. Rather, we assist and support individuals and communities wishing to start or improve a Street Medicine program. 9. What are the medico-legal risks of street medicine? It is important to practice within your scope of training, keep medical records compliant with the standards in your community, and notify your malpractice carrier, union, and/or sponsoring organization prior to starting street medicine work. In the experience of the Street Medicine Institute, most malpractice providers are comfortable extending coverage to street medicine providers who practice within the scope of their training. 10. How do I obtain funding for my street medicine program? 11. Is there a business template for a street medicine program? There is not a standard template for the wide variety of programs that fit uniquely within diverse international communities. The Street Medicine Institute provides consultation services for the development of street medicine programs, including business plans. Please contact us at [email protected] for assistance. 12. I’m ready to start – what are the basics I need to get underway? Street Medicine program development requires thoughtful planning that often includes a needs assessment of the community, development of strategic partnerships, site visits to other programs, training, and a plan for sustainability. The SMI provides consultative services; and, you can become a Member (Join Now) to participate in Discussion Forums on this website which may offer other helpful insights. 13. How do I start a Street Medicine program in my educational environment / school? Street Medicine program development requires thoughtful planning that often includes a needs assessment of the community, development of strategic partnerships, site visits to other programs, training, and a plan for sustainability. A faculty champion, administrative support, and malpractice coverage for volunteers are essential components in the education-based environment. See our Resources tab for a free copy of our Student Start-Up Manual. Our Student Forum is an excellent resource for students seeking support for their program development ideas. 14. Is my personal safety at risk on the streets? Thousands of street rounds have been conducted throughout the world without incident. Developing a safety plan and monitoring safety on the street should be a component of your program start-up plan. Contact us at [email protected] for more detailed recommendations regarding safety on the streets. 15. Is there a place where I can meet with other people practicing Street Medicine? Yes, the Street Medicine Institute offers an annual International Street Medicine Symposium to learn, network, and be inspired. The Community Forums on this website are also a great tool for connecting with others involved in street medicine. 16. Is there someone who can come to advise my organization or me on the development of a street medicine program? The Street Medicine Institute provides on-site and remote consultations and trainings to encourage and support the initiation of new, and the improvement of existing, Street Medicine programs. Contact us at [email protected] for further information. 17. How do I deal with mental health and substance use issues among unsheltered individuals? Street Medicine providers often find treating mental health and substance use disorders challenging. Trust-building with patients is a necessary component of addressing these issues. Be on the lookout for the upcoming SMI Street Psychiatry Guide. Please also visit the Street Behavioral Health Forum for insights from our community of street-based mental health professionals. 18. I would like to do a media piece on street medicine. Who do I contact?